Assessing mental capacity is a complex task for social workers and other practitioners. A recent safeguarding adults review found that a lack of “legal literacy” around mental capacity law meant professionals missed opportunities to safeguard a man who refused medical treatment. The review recommended that steps be taken to improve training on mental health legislation. In a detailed guide to assessing mental capacity and making best-interests decisions for Community Care Inform Adults, Michael Lyne goes through the five principles of the Mental Capacity Act, recording assessments of capacity and the best interests checklist. Lyne is programme leader for the best interests assessor programme at Bournemouth University. Inform Adults subscribers can read the full guide and other resources on our mental capacity knowledge and practice hub. Below is an excerpt from Lyne’s guide, focusing on the second principle of the Mental Capacity Act. A person must be assumed to have capacity unless it is established that he lacks capacity (subsection 2). A person is not to be treated as unable to make a decision unless all practicable steps to help him to do so have been taken without success (subsection 3). A person is not to be treated as unable to make a decision merely because he makes an unwise decision (subsection 4). An act done, or a decision made, under the MCA for or on behalf of a person who lacks capacity must be done, or made, in his best interests (subsection 5). Before the act is done, or the decision is made, regard must be had to whether the purpose for which it is needed can be as effectively achieved in a way that is less restrictive of the person’s rights and freedom of action (subsection 6). ‘Practicable steps’ can really be divided into two types. Firstly, there are the obvious steps which one might take. This might include using a translator for people who prefer to use their native language. This is something which is particularly common among older people with dementias. It might also include the need to use specific types of communication equipment or types of languages such as Makaton. There might be a need to engage the services of a specialist, such as a speech and language therapist. Conversely, a person may need to write their decision down if speech is difficult or non-existent. Simply blinking an eye or squeezing a carer’s hand might well indicate an ability to communicate. The second consideration in terms of ‘practicable steps’ is slightly less mechanistic and concerns such issues as environment and support. Many of the decisions that we ask people to make can be emotionally difficult and life changing. The ‘simple’ decision of entering residential care, for instance, is anything but simple. Allied to a loss of independence or dignity and a fear of the unknown may be memories of a life in their previous home, possibly including marriage, birth and bringing up of children, and feelings of worthlessness, guilt, anger and depression. Should we really be asking people to make these types of decisions in the middle of a busy hospital ward, where perhaps the only ‘privacy’ is behind the bedside curtains, or in a residential home lounge while the client is there on respite? Sometimes the support of a friend or family member can help ease this situation. We need to ensure that anyone who provides support in this way is not actually trying to make the decision or pressurise the client into making a particular choice, but are there for emotional support. Hi Susan, suffering with dementia (or any other illness) does not change the principles of the Mental capacity act. The key thing is focusing on the individual’s specific needs to identify what practical steps and support they require. It might be that after all the identified ‘practical steps’ have been taken, the individual is not able to understand, retain, weigh up and use and communicate. However, until you have taken these steps you cannot say for certain. I’m not sure I now what bit you mean. Can you be more specific. Where is this in the code of practice? I read the Law Commission’s MCA/DoLS consultation (and responded). There was some genuine weirdness, within ‘views put to the LC about the MCA’. One ‘absurdity’ was the claim that ‘mentally-incapable people can retract an Advance Decision’ is a concept within the MCA – ‘clearly bonkers’! There is also another argument – which the LC ‘discounted without disproving’ to use my phrase – that the MCA is fundamentally incompatible with Human Rights ‘disability law’ because HR ‘law’ requires Supported Decision-Making whereas the MCA describes Substituted Decision-Making. Although the MCA as it stands is understood really poorly, so far as I can see – unless it is altered, I think we need to be understanding the MCA as it is written, and applying it properly! 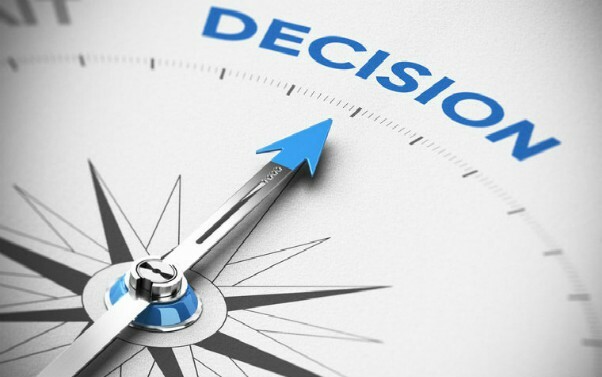 There is a danger of a culture of ‘pseudo-supported decision-making’ – where ‘we support you to make your own decisions until we dislike the decision you make’ – becoming the reality, if we change to supported decision-making. Do you mean where someone has made an advanced decision to refuse treatment? Do you disagree with advanced decisions? How about someone who has memory problems and inconsistent in their recall? Would they not be deemed to have capacity one day but not the next day if re-assessed? Capacity is time and question specific. ‘A recent safeguarding adults review found that a lack of “legal literacy” around mental capacity law meant professionals missed opportunities to safeguard a man who refused medical treatment’. Mr Justice Jackson ruled that the operation would not be in the patient’s best interests – in other words, that it was in the patient’s best interests to allow him to die from his gangrenous foot, instead of allowing the amputation to take place. So it isn’t the case that best-interests is about ‘keeping mentally-incapable people safe and healthy’ – it is much more complicate than that, because Mr justice Jackson was applying section 4 of the MCA, and he decided that, to use my phrase, ‘it was better for the patient to be allowed to die, rather than to force him to have his foot amputated, and for the patient to then face an uncertain future which the patient strongly objected to’. So there is a very-difficult-to-describe balance, between the aim of keeping the person ‘safe and healthy’ and ‘respecting the person’s experience of the life which the person is living, and would be living after the decision’.